A smooth ride with exceptional power. 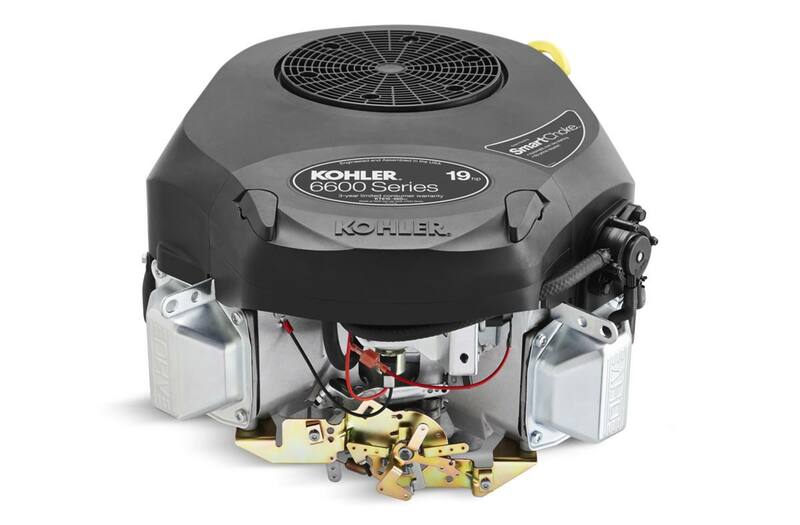 Built to last, KOHLER® 6600 Series engines start quickly and reliably with Smart-Choke™ technology. They deliver a consistent cut even in tough mowing conditions. Engine type: Four-cycle, single-cylinder, air-cooled, vertical shaft, gasoline, OHV, with cast iron liner. Four-cycle, single-cylinder, air-cooled, vertical shaft, gasoline, OHV, with cast iron liner.